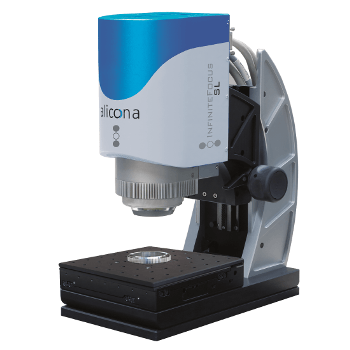 InfiniteFocusSL from Alicona is an optical 3D measurement system designed for quick, easy, and traceable measurement of profile and roughness of standardized and compound materials on micro structured surfaces. Color images and depth of focus and high contrast are achieved. InfiniteFocusSL’s measurement speed, usability, and cost effectiveness make it more attractive to users. The intelligent illumination technology and the solid frame provide high-resolution and quick measurement in production near environment and laboratories. InfiniteFocusSL uses a coaxial laser for easy and rapid focusing, and can achieve measurements within seconds. The lengthy working distance of up to 33 mm, in addition to the average measurement area of 50 mm x 50 mm makes the instrument suitable for different applications. Our customers use printed circuit boards by Optiprint to manufacture products of the highest quality. Alicona‘s customized 3D measurement solutions play a key role in enabling us to provide our customers with the exceptional quality they need. Their systems contribute significantly to our company‘s success. We can only recommend Alicona to everyone.